With Reiki Drum, I combine the sound therapy of the Drum with Reiki. During a treatment you will lie on a bed or sit in a chair as usual. The session begins with drumming around and over the body. When I feel it is time, I will go on to give Reiki in the usual way. Reiki Drum Mental / Emotional Reprogramming: Still using the Drum and Reiki, we use affirmations to change habits and beliefs in a positive way. Reiki Drum Journey: If you want to find answers or need guidance, why look any further than your unconscious mind and your spirit? Drumming takes you into a Journey to find just what you need. You get what you need. Studies show that drumming is helpful when treating stress, tension, fatigue, anxiety, sleep and emotional disorders. Research has found that drumming serves as a distraction from pain and grief, as it promotes the production of endorphins in the body. It has also been shown to focus attention and improve overall wellbeing. Other studies have shown positive effects on Alzheimers and dementia patients. Those you are already trained to Reiki 2 level can train to add this new Therapy. This is a 2 day course, where you will receive another attunement with your Drum. Having a Drum is essential. You can purchase one yourself, or I can source one for you. Please be aware that the drum is of a certain size, so please contact me before you buy one. 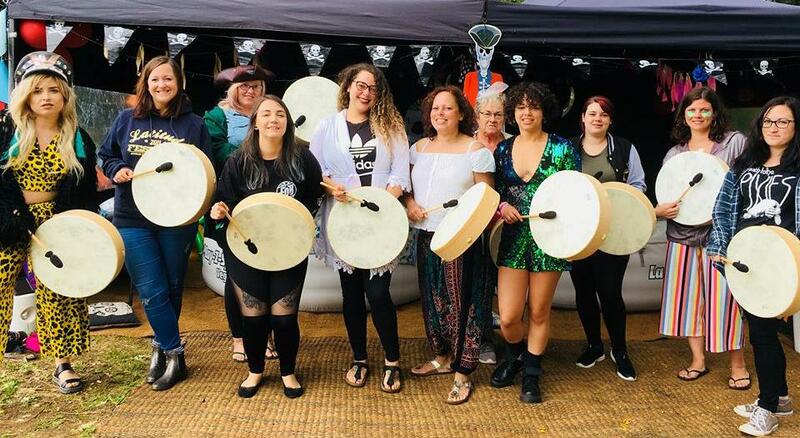 During these 2 days you will experience group drumming, journeys, receive an attunement with your drum, learn the Reiki Drum techniques: Basic Technique, Mental/Emotional Reprogramming Technique as well as the Journey Technique. You will also give and receive all of these sessions yourself. The techniques involved are very powerful and you will be surprised at the results that can be achieved for yourself and for others. At the end of the weekend you will receive your certificate. See Events page for dates. If you haven't been attuned to Reiki 1 & 2, you can book to learn them here too. Drums start at £90. These are vegan friendly, no animal skins. Come along and drum up some good energy, while releasing the old. Let the beat of the drum take you on a journey deep inside yourself, to meet your spirit guide or power animal. Full Moon Drumming happens at sunset on each full moon. We are connecting with drummers around the globe to send peace into the world. Cost is £5, you can reserve a drum to use on the night, availability is limited, so please book ahead. In this workshop we journey into past life (lives) in Atlantis to recover your lost power. Many of us feel we had a life in Atlantis and also that we have lost or forgotten what we learned there. When you recover a soul fragment it can have a huge effect on your life. We use soul retrieval to find the power and learnings and restore them and ourselves, to make us whole again. We use drumming and journeying and share our experiences in a supportive, protective space. Many of us have Native American spirit guides or really connect with that energy. Through guided meditation and drumming I help you to journey with your guides and to sit in the wonderful energy of mother earth. Your Guardian Angel will have been with you through your entire life, but until you ask for them to assist you, they stand back. So here is your chance to connect with them, to feel their energy and to ask them for help in your life. We use drumming to raise our vibration and journeying to travel to their realm. We invite them to step into our lives, to give comfort, protection and reassurance. We join together to connect with Mother Earth, to appreciate all that she provides for us and to really feel her wonderful energy. When you walk on her grass and touch the bark of her trees, you begin to feel her power. We will drum and journey into her incredible elements and reconnect with our true Mother. This can be a deeply healing experience and one that most people have forgotten. We use drumming and journeying as well as the physical connection with the earth to feel what we have been missing. In this workshop we journey into your past to recover your lost voice. Has any one ever told you that you had no right to speak? A teacher told you that your were wrong in front of the whole class or were you told to be seen and not heard. These incidents, which may seem small and insignificant, can have a huge effect on your life. We use soul retrieval to find the voice and restore it and ourselves, to make us whole again. We use drumming and journeying and share our experiences in a supportive, protective space. Have you ever visited a place for the first time, but feel you already know it? Maybe you have skills that you have never been trained in, but just know how to do these things? There are many issues that can be leftovers from past lives, and facing them can help you to understand more about yourself. This is not for the everyone, but can be helpful in your life. If you feel brave enough to delve into the past, then this is the workshop for you. Using drumming and journeying, we reach back to times of significance for you now. It might help if you bring a friend for support. In this kind of setting, you only get what you can handle and what is ready to be revealed. Cost is affordable for all budgets from £5 see the Events page for dates and cost. A lovely calm, gentle and honest nature. A very knowledgeable and experienced teacher and healer who helps her students to develop naturally without pressure and afterwards is there for support if needed. Thank you Heather for taking me through my Reiki Master/Teacher and Angelic Reiki. I look forward to continuing my spiritual development with your help." Sue G.
"I have been to many of Heathers events some being drumming sessions, journeying and the Angelic Reiki levels 1&2 event. Her home and her own energy is so calm and healing. I have grown spiritually and felt great healing since I have been attending Heathers events. 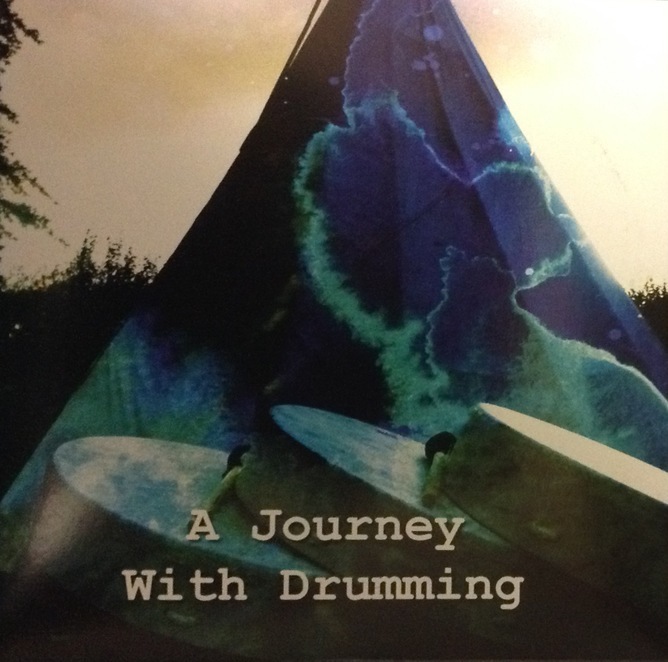 "Heather takes me on amazing journeys, especially with the drumming. I come away with renewed energy. My batteries refilled. My soul feels at peace with the world around me again and I have great gratitude for life." I am now able to offer Drumming & Journeying sessions for Hen Parties. This is something many will be new to, but it is an amazing thing to experience. I have enough drums for 15 hens. Please get in touch to book your date for 2019 and beyond. Cost is £300 plus £1 per mile from me to your chosen venue and back again, or you can book to come to the teepee in season. This works out cheaper per person than most hen party entertainers and providers. I recorded a Drum Journey for those who wish to enjoy it at home. If you wish to purchase one I can send to UK addresses. For overseas delivery, please get in touch for shipping cost. 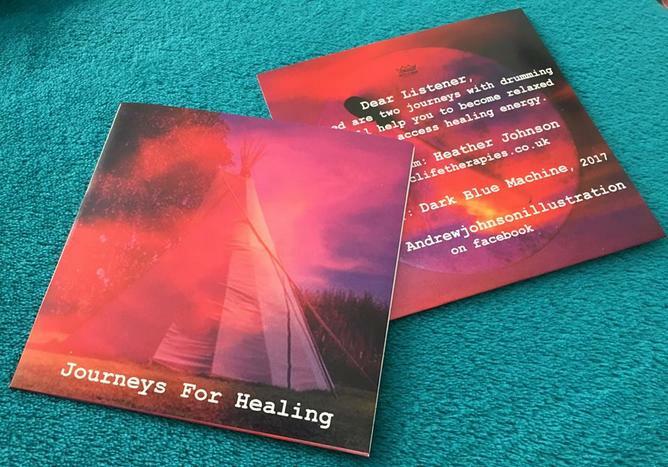 I have recorded as new CD which takes you on two healing journeys. The third track is simply drumming which can also be used for meditation and journeying. Each track is approx 20 min long.